Diabetes is a syndrome characterized by abnormally high levels of sugar in the bloodstream, usually caused by environmental, genetic factors or a combination of both. Diabetes can cause blurred vision, lethargy, and drastic changes in metabolism. Its complications can lead to a double risk of cardiovascular disease, blindness, and poor wound healing, among others. Pre-diabetes is a condition where your blood sugar is considered high but not high enough to be diagnosed as diabetes. 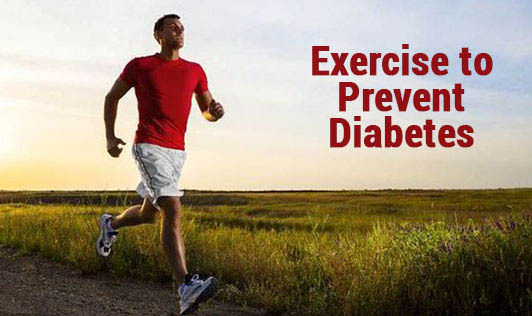 People who have pre-diabetes are urged to do measures to prevent their condition from progressing to full diabetes. Aerobic exercise increases insulin sensitivity and, along with proper nutrition, helps restore normal glucose metabolism by decreasing body fat. Strength training (Resistance or Weight training) also decreases body fat by raising the metabolism. It's main benefit; however, is increasing glucose uptake by the muscles and enhancing the ability to store glucose. Walking is a great exercise. Do it every day, and you'll raise your metabolic rate, as well as level out your blood sugar. Take the stairs instead of the elevator. Pay attention to what you do and think of how you can burn more calories while doing it. Keep in mind that if you are a beginner, you should acquaint your body with low-impact exercises first before progressing to high-impact exercises, especially if you are taking medication for preventive measures. They are basically lifting weights. Like aerobics, take it slow at first, starting with five pound weights until you can progress to heavier weights. Resistance training such as aerobic ball workouts also help build your strength. Stretching simply means flexing your muscles. Yoga, Pilates and Tai Chi are three popular exercise routines that you can take for stretching exercises. You need to build muscle and burn fat. So live the lean lifestyle and you will be way ahead in the diabetes game.